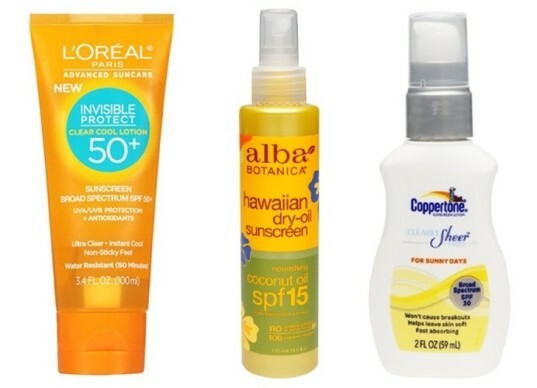 The Environmental Working Group (EWG) has just released their annual Sunscreen Guide. 2015 marks the 9th annual edition of this guide, which is packed with tips about the best sunscreens on the market, as well as the worst, plus facts about skin cancer, SPF, Vitamin A and much more. 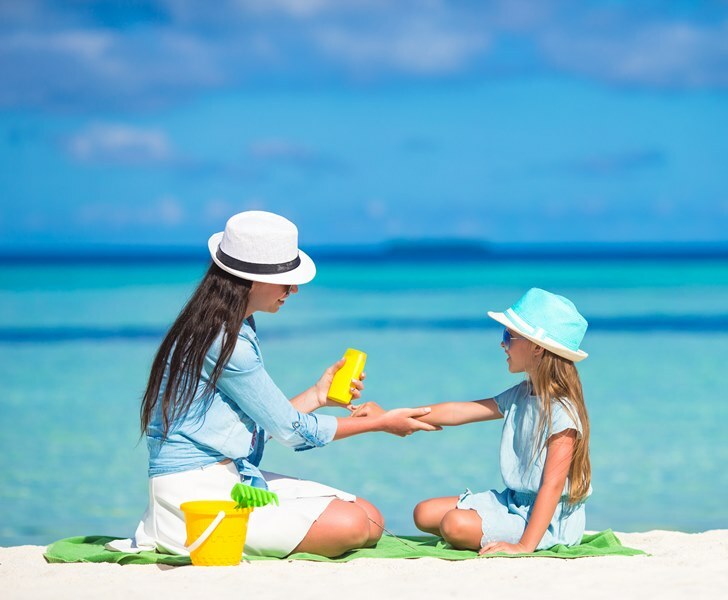 EWG examined 1,700 sunscreen products this year and found that many offer inferior sun protection or contain possibly harmful ingredients like oxybenzone and other chemicals. Keep reading to learn more about this year's guide and find out how it can help you make smarter choices about sunscreen year-round. This year’s safer sunscreen guide includes a report with EWG findings about sunscreen products. You can also use the guide to browse safe sunscreen choices including beach and sport sunscreen, moisturizers with SPF or lip protection. Each sunscreen in the guide features a score between 1 and 10 – 1 being the safest and 10 being nowhere near safe. 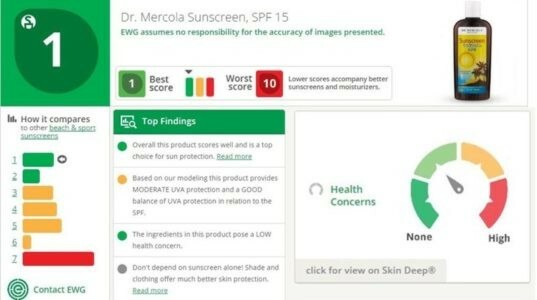 After an analysis of more than 1,000 sunscreens, more than 600 SPF-labeled moisturizers, and 100 lip products, EWG used their, “in-house compilation of standard industry, government and academic data sources, models they constructed over the past nine years and a thorough review of the technical literature on sunscreens” to develop final scores. 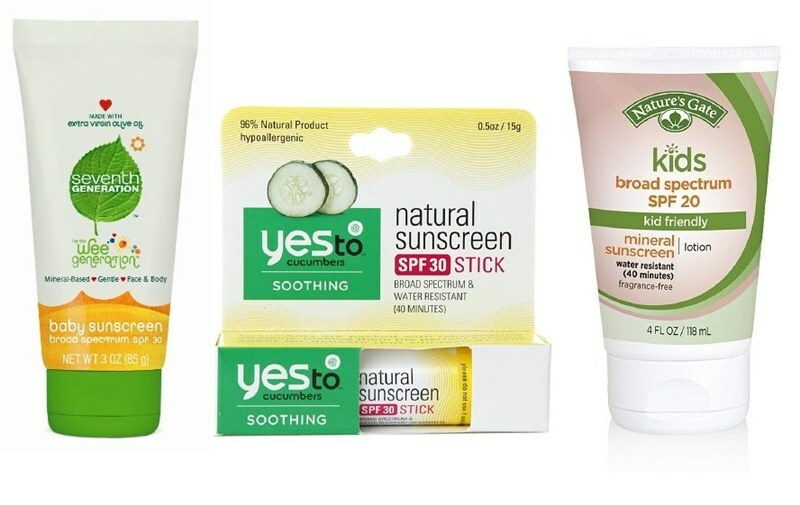 Each rated sunscreen product also features a section that shows how it compares to other like-minded sunscreens and a cost score. The cost score factor, I’d likely ignore, because it’s not super dependable. For example, EWG lists a store brand, Walgreens Sunscreen Lotion, SPF 15 as being the most inexpensive end of the scale BUT they also list Baby Natural Sunscreen SPF 30 as a more expensive choice. The price difference between these two sunscreens can be as much as $7-10 depending on sales, so I’m not sure how they’re calculating affordable vs. not. Price issues aside, the guide is well laid out and easy to browse. Shown above is a snapshot of just some of the info you’ll see about each sunscreen. High-SPF (SPF values of greater than 50+) products are misleading to the public and may result in people not applying sunscreen often enough. Retinyl palmitate, a form of vitamin A, may speed up the development of skin tumors and lesions, plus because vitamin A is found in so many products, toxicity due to excessive exposure may result. Vitamin A safety is a huge debate and not everyone agrees that vitamin A is a hazard. Sunscreen is just one way to protect yourself from the sun. EWG encourages everyone to practice sun safety techniques such as planning to go out when the sun isn’t as high, using shades such as trees or umbrellas and wearing sunglasses and protective clothing. This year, 217 beach & sport sunscreens met EWG’s safest sunscreen criteria. Below are 10 of them. To see all the safest sunscreens, check out either Best Beach & Sport Sunscreens or Best Moisturizers with SPF. This year, EWG included a section called 62 better options for non-mineral sunscreen. This is a big deal because EWG usually focuses on mineral sunscreens. Non-mineral sunscreens, though widely considered not as safe as mineral sunscreens, are FAR less expensive and almost always easier to find at your local store. See all the safer non-mineral sunscreens. See the full Hall of Shame at EWG. The Skin Deep app not only makes it a snap for you to look up information about sunscreen as you shop, but also has information and online safety assessments for more than 72,000 personal care products beyond sunscreen, 2,500 brands and 9,000 ingredients. Grab the app, via one of the links below, for your phone and become a safer, more informed shopper today. This year's safer sunscreen guide includes a report with EWG findings about sunscreen products. You can also use the guide to browse safe sunscreen choices including beach and sport sunscreen, moisturizers with SPF or lip protection. Each sunscreen in the guide features a score between 1 and 10 - 1 being the safest and 10 being nowhere near safe. After an analysis of more than 1,000 sunscreens, more than 600 SPF-labeled moisturizers, and 100 lip products, EWG used their, "in-house compilation of standard industry, government and academic data sources, models they constructed over the past nine years and a thorough review of the technical literature on sunscreens" to develop final scores. Each rated sunscreen product also features a section that shows how it compares to other like-minded sunscreens and a cost score. The cost score factor, I'd likely ignore, because it's not super dependable. For example, EWG lists a store brand, Walgreens Sunscreen Lotion, SPF 15 as being the most inexpensive end of the scale BUT they also list Baby Natural Sunscreen SPF 30 as a more expensive choice. The price difference between these two sunscreens can be as much as $7-10 depending on sales, so I'm not sure how they're calculating affordable vs. not. Price issues aside, the guide is well laid out and easy to browse. Shown above is a snapshot of just some of the info you'll see about each sunscreen. EWG seems to have some key focus areas this year that they'd like consumers to think about, including the following: High-SPF (SPF values of greater than 50+) products are misleading to the public and may result in people not applying sunscreen often enough. Retinyl palmitate, a form of vitamin A, may speed up the development of skin tumors and lesions, plus because vitamin A is found in so many products, toxicity due to excessive exposure may result. Vitamin A safety is a huge debate and not everyone agrees that vitamin A is a hazard. Sunscreen is just one way to protect yourself from the sun. 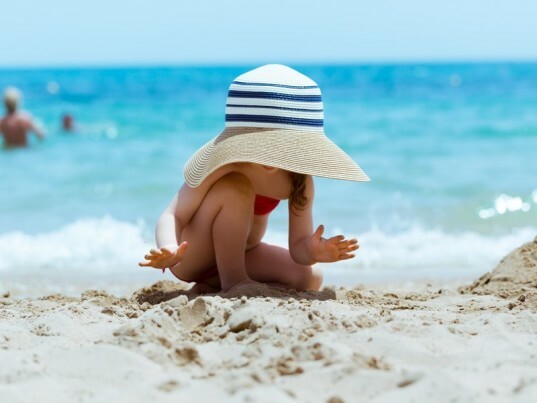 EWG encourages everyone to practice sun safety techniques such as planning to go out when the sun isn't as high, using shades such as trees or umbrellas and wearing sunglasses and protective clothing. This year, 217 beach & sport sunscreens met EWG's safest sunscreen criteria. Below are 10 of them. Nature's Gate Kids Mineral Sunscreen, SPF 20 Juice Beauty Sport Sunscreen Lotion, SPF 30 Badger Sunscreen Cream, Unscented, SPF 30 The Honest Company Honest Sunscreen Stick, SPF 30 California Baby Super Sensitive Sunscreen Stick, SPF 30+ Seventh Generation Baby Sunscreen, SPF 30 Yes to Cucumbers Natural Sunscreen Stick, SPF 30 Earth's Best Mineral Sunscreen Lotion, SPF 30 TruKid Daily Sunscreen Face & Body Stick, SPF 30 COOLA Suncare Body Plant UV Sunscreen Moisturizer, Unscented, SPF 30 To see all the safest sunscreens, check out either Best Beach & Sport Sunscreens or Best Moisturizers with SPF. This year, EWG included a section called 62 better options for non-mineral sunscreen. 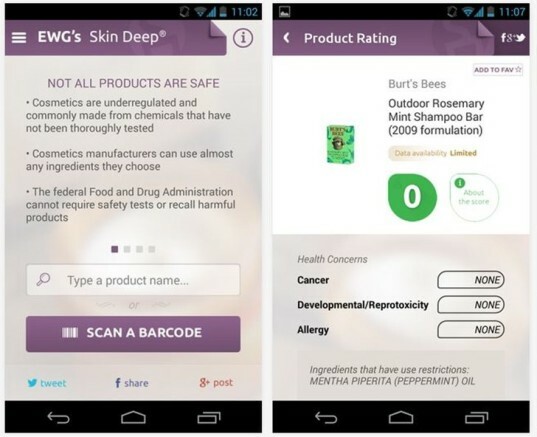 This is a big deal because EWG usually focuses on mineral sunscreens. Non-mineral sunscreens, though widely considered not as safe as mineral sunscreens, are FAR less expensive and almost always easier to find at your local store. Neutrogena Ultra Sheer Dry-Touch Sunscreen Lotion, SPF 45 Banana Boat Sport Performance CoolZone Sunscreen Lotion, Refreshing, Clean Scent, SPF 50 L'Oreal Paris Advanced Suncare Invisible Protect Clear Cool Lotion, SPF 30 Walgreens Sunscreen Lotion, SPF 15 Hawaiian Tropic Silk Hydration Face Oil Free Lotion Sunscreen, SPF 30 Bull Frog Ultimate Sheer Body Sunscreen, SPF 30 Ocean Potion Anti-Aging Quick Dry Sunscreen Lotion, SPF 50 Coppertone Clearly Sheer Faces For Sunny Days Sunscreen Lotion, SPF 30 Alba Botanica Hawaiian Sunscreen Nourishing Coconut Oil, SPF 15 Western Family Sunscreen Lotion, SPF 15 See all the safer non-mineral sunscreens. There are a lot of bad sunscreens on the market this year according to EWG's report. The worst of the worst can be found in their annual Hall of Shame. The Hall of Shame is full of sunscreens that are spray on, because they may be inhaled and don't coat the skin properly, sunscreens with SPF values above 50+, and sunscreens that contain oxybenzone which can disrupt the hormone system or retinyl palmitate which may trigger damage and possibly cause cancer. EWG stresses that sunscreens in their Hall of Shame, "are not only a waste of money and time but also potentially harmful." 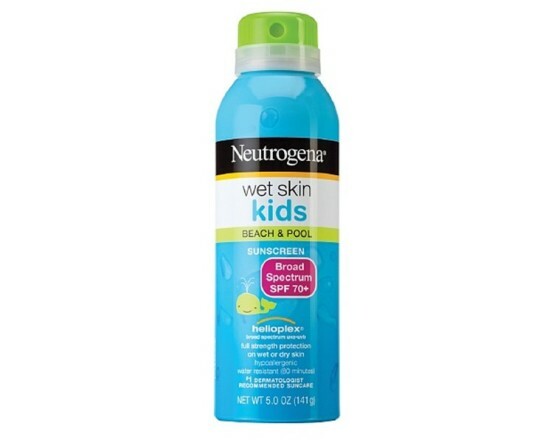 Some big bad sunscreen products this year include: Neutrogena Ultra Sheer Body Mist Sunscreen Spray, SPF 70 Banana Boat Sport Performance Sunscreen Lotion, SPF 100 Coppertone Kids Sunscreen Stick, SPF 55 CVS Sun Lotion Sunscreen, SPF 70 Neutrogena Ultra Sheer Daily Liquid Sunscreen, SPF 70 Ocean Potion Protect & Nourish Sunscreen Lotion, SPF 70 Coppertone Water Babies Sunscreen Lotion, SPF 70+ Up & Up Kid’s Sunscreen Stick, SPF 55 NO-AD Sunscreen Lotion, SPF 60 See the full Hall of Shame at EWG.